Your home should reflect your personality. Barker and Stonehouse UK helps you add a little bit of you to every room with fresh and stylish pieces. Find furniture and décor for your bedroom, backyard, and dining room at Barkerandstonehouse.co.uk. No matter what you decide to purchase, you can save big with Barker and Stonehouse discount codes. Apply this Barker and Stonehouse discount code to your next order and save 15%. Shop home products and save 5% with this Barker and Stonehouse voucher. Get the latest furniture for your home - sign up for the Barker and Stonehouse newsletter to save yourself 15% off. Looking to save on home furniture, accessories, flooring and more? We've got the best Barker and Stonehouse offers, but you may be able to find some more here. Offer includes Barker and Stonehouse beds, dining tables, sofas, mirrors, lighting and more. Shop accessories and rugs and get free Barker and Stonehouse delivery! Spruce up your home with some new designer home furniture from Barker and Stonehouse. Revitalize your living space for less at Barker and Stonehouse with up to 20% off rugs and furniture during this spring sale. If you find a better price from one of their competitors, Barker and Stonehouse will beat it by a lower price. Visit Barker and Stonehouse to get all new furniture for up to half off in the showroom clearance event. Spring is in the air, so shop Barker and Stonehouse garden furniture and get up to 25% off. Save on delivery and pick up your order from your nearest Barker and Stonehouse store or warehouse. Snag a Barker and Stonehouse deal on bed frames, mattresses, bedroom dresses, and more. Find select pieces for up to 25% off. Whether you're in looking for a wedding gift or a present just because, grab gift cards from Barker and Stonehouse starting at just £25. Grab Barker and Stonehouse dining room chairs and save up to 15% off. Upgrade to a new dining room table at Barker and Stonehouse and save up to £300 off select items. No Barker and Stonehouse discount code required. Pick rugs from £52 at Barker and Stonehouse. Limited time only. Save on delivery options from Barker and Stonehouse starting as low as £5.95. Problems with your order? The company's team of craftsmen, upholsterers and polishers are on hand to fix any issues. This is equally true of Barker and Stonehouse discount items. You can contact the team Monday to Friday on 01642 426026. Delivery for rugs and accessories is free of charge. There's a fee of £49 when you order a Barker and Stonehouse dining table, corner sofa, sideboard or similar item of furniture. You can still benefit from free delivery when you pay with Barker and Stonehouse vouchers. You can decide to return items for any reason up to 14 days after receiving them, including Barker and Stonehouse voucher code purchases. But bear in mind that the company will charge anywhere between £5.95 and £100 for collecting unwanted Barker and Stonehouse beds, mirrors, lighting and other furniture from your address. Prepare for the outdoors this spring with up to 25% off garden furniture plus free Barker and Stonehouse delivery. Shop sofas, tables, chairs and more for up to 25% off at Barker and Stonehouse. Dining room furniture, sofas, corner sofas and more are all included in this Barker and Stonehouse winter sale. Founded shortly after WWII, Barker and Stonehouse are a family run furniture retailer, based in the Midlands and with 11 major stores nationwide. Shoppers are drawn to their sofas, chairs and beds because of deals such as the Barker and Stonehouse 15% off your first order offer. The company stays keenly competitive thanks to its price match promise and money-saving Barker and Stonehouse discount codes. And with free shipping on many items and up to 18 months interest-free credit, it provides superior customer service too. In addition, it's always worth visiting the website for the latest Barker and Stonehouse vouchers updates. Shop Barker and Stonehouse clearance items all the year round by visiting their online sales page. Here you'll discover reductions of as much as 50% off beds, storage units, showroom furniture and selected brands.  Keep in mind that all sales can be used with any Barker and Stonehouse voucher codes that you find.